Knoebels, America’s largest free admission amusement park, recently announced a new ride for the 2017 season. 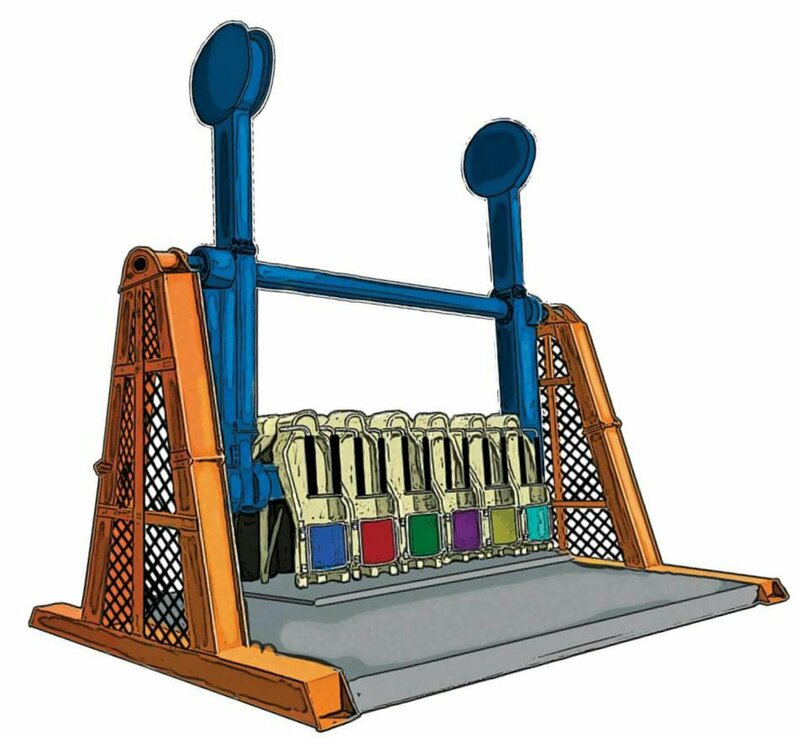 The park, located in Central Pennsylvania, will add Over the Top for this coming summer, a 12 passenger swinging ride where guests stay vertical while the car rotates clockwise and counterclockwise. The new ride will be located in the back of the park near Phoenix, Fandango, and Wipeout. 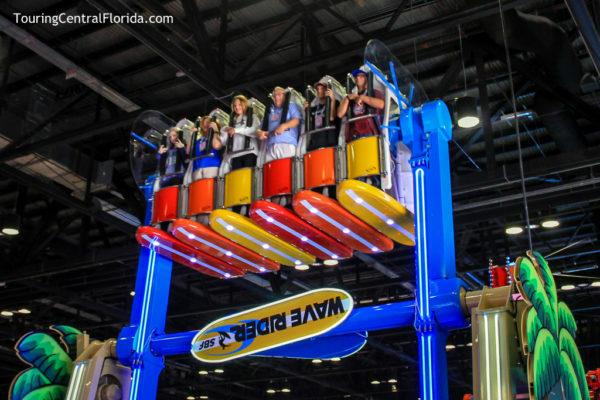 The ride is reminiscent of one that Knoebels used to have – Flying Cages. 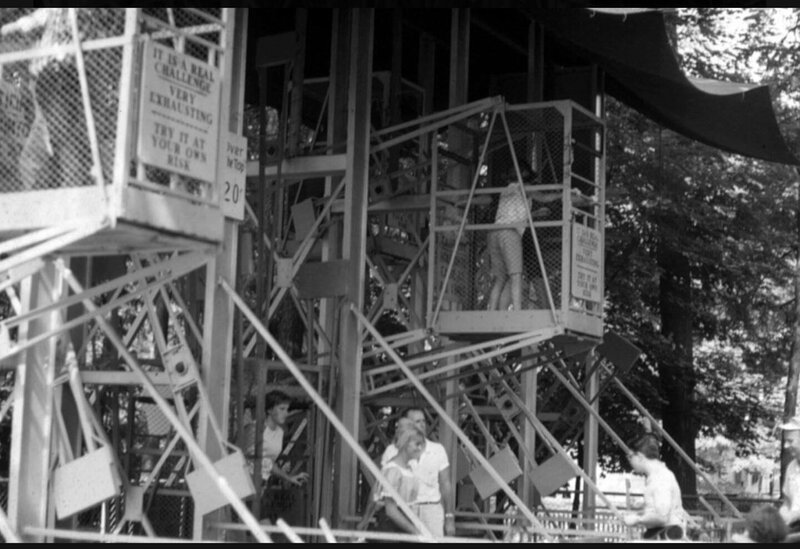 That ride was self propelled, with guests rocking back and forth inside metal cages in an effort to get them to rotate over the top. Flying Cages opened in 1964 and closed in 1986 when it was replaced by the current hand stamp sales building. 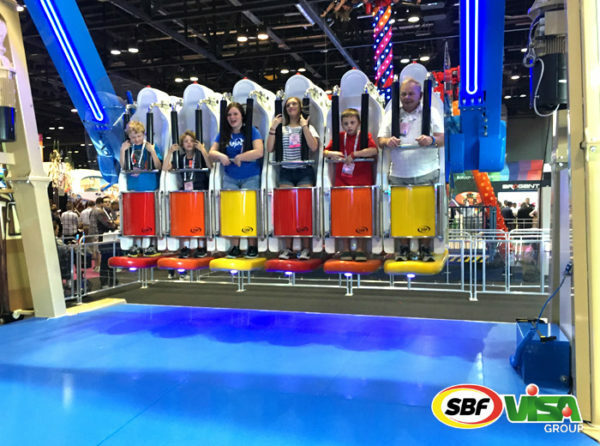 The Knoebels family saw the new ride on display at the International Association of Amusement Parks and Attractions (IAAPA) Expo in Orlando this past November. 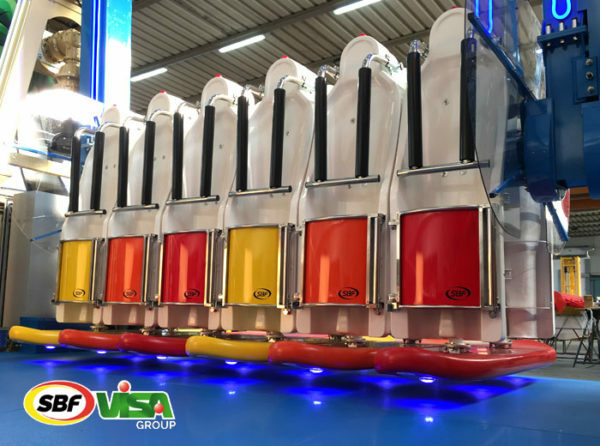 The ride is a new design manufactured by SBF-VISA Group, and is called Wave Rider. 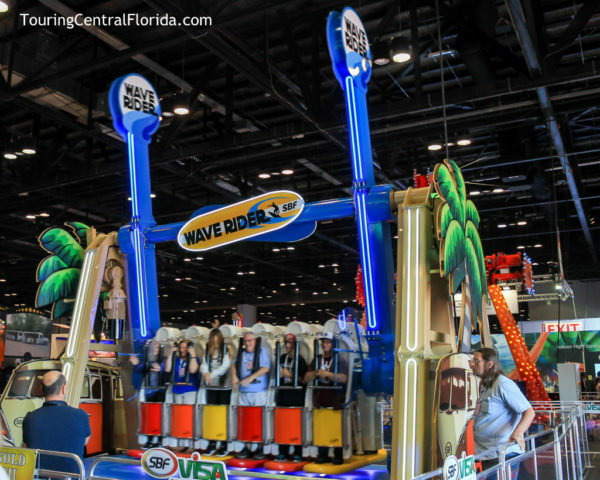 Touring Central Florida saw a number of attendees of all ages at the Expo enjoying the ride. The version being installed at Knoebels as Over the Top will have its own custom theming as a throwback to the old Flying Cages attraction. It is expected to open in the late spring or early summer, and have a 48 inch minimum height requirement for riders.